Welcome to Fryerns Baptist Church! We are delighted to have this opportunity to introduce you to the ministry here. Fryerns Baptist Church is a Reformed Baptist Church founded in 1954 in Basildon, Essex. Founded by The Metropolitan Association of Strict Baptist Churches (later named renamed Association of Grace Churches South East AGBCSE) and the National Federation of Strict Baptist Churches. 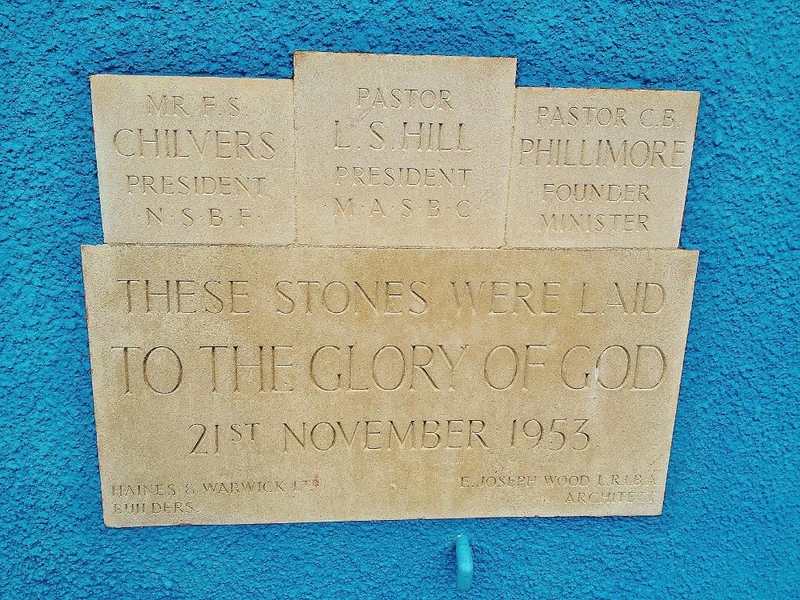 The church records it’s gratitude to God for the pioneering work and Ministry of the Founding Pastor Charles B. Phillimore and his wife Grace. The church looks back at all the way the Lord has led the work over the years with gratitude and praise to Almighty God. We are grateful to God that in this present generation He is calling men and women who desire to give themselves to each other in fellowship for the worship of their Saviour, the encouragement for each other, and the evangelism of the community in the place where God has placed us.